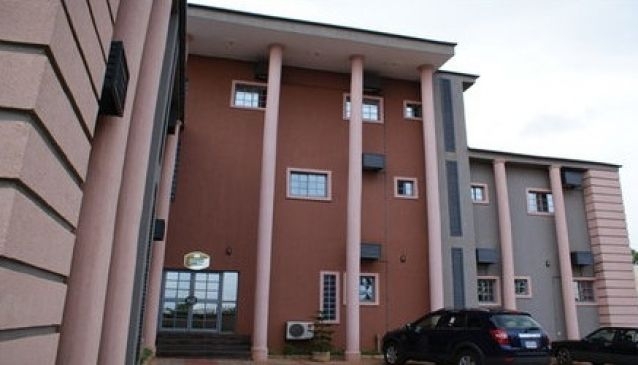 Set in the heart of the city adjacent to Enugu State government house and the world famous Okpara square, Bayview Hotel is about 10 minute drive away from Akan Ibiam International Airport Enugu. The rooms are a cocoon of well-being in the heart of the city and they are categorised as follows: Bayview Suite,Royal Suite,Super Royal Suite,Studio Suite,Classic Suite,Delux Suite. When it comes to dinning, their cuisine has a fine local reputation and a quickly growing national one. Menu items follow a seasonal theme and give emphasis to Nova Scotia traditions. Fresh locally grown produce is used in many entree items which enhances the flavours of the seafood, chicken steak and pasta dishes. Guests can choose from an array of mouth watering dishes.Banquet hall accommodates up to 100 delegates,designed with all event/meeting needs facilities, the hall offers natural light and 4.8m high ceilings.